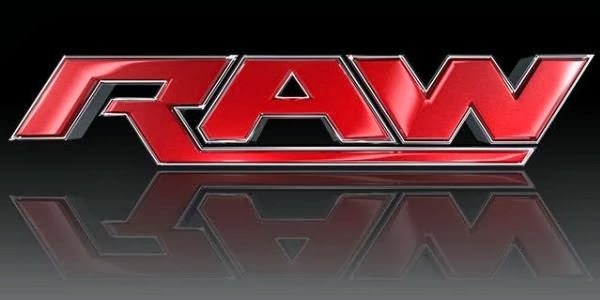 We've been away a few days, but we're back with a review of this week's edition of WWE Raw. I thought this week's Raw was a fairly strong showing, which is surprising when you look at the card, which on paper was at best underwhelming and at worst nonsensical. Later in the night, in the build up to the contest, we got to hear what The Shield though about being put against eleven other men. I thought it was refreshing to see The Shield not backing down when the odds look to be stacked against, as we have seen time and time again from WWE heels, with Dean Ambrose delivering a very strong promo (back in The Shield's patent hand held style) outlining why the group work best when they are against the wall, with a metaphor that actually made sense! Seth Rollins still looks a little awkward having to follow an Ambrose promo, coming off as a little bit of a sidekick, whilst Reigns is at his best standing there as the muscle of the group. Daniel Bryan also got some mic time prior to the match, with another strong promo, talking pulling wholes in the idea that he and Scott Armstrong had a plan for him to win the WWE Championship at Night of Champions and that Bryan would be winning back the WWE title at Battleground on October 6. The passion that Bryan is bringing to his performances at the moment is something a lot of the WWE roster should be looking at, and looking to bring to their performances, he's clearly a man enjoying what he does and it shows. After Bryan's promo, The Shield headed down to start the match early, only to be cut of at the pass by a returning Goldust and Cody Rhodes, in a moment that really made you sit and watch, even if it was little weird that Goldust was still wearing his face paint. That stroyline feels like it's about to catch fire and if it keeps going in the right direction WWE will have another star on their hands in Cody Rhodes. Once the match got started The Shield took control, with the idea being that most of the other wrestlers had already competed in match and some like Rob Van Dam had taken vicious beatings at the hands of Randy Orton and Alberto Del Rio (even if he couldn't be bothered to sell it) With The Shield ploughing through RVD, Kingston, Titus O'Neil of The Prime Time Players, Justin Gabriel and Zack Ryder, it quickly boiled down to three on six, with Kingston looking the most competitive after a nice sequence with Dean Ambrose, whilst Roman Reigns looked fantastic taking out O'Neil, Gabriel and Ryder in quick order. With Daniel Bryan entering the match, the leader of WWE lockeroom changed the momentum in favour of his team, with his usual comeback taking out all three members, before tagging in the The Usos for a Superkick and Superfly Splash combination that allowed them to eliminated Reigns, giving that team strong momentum heading into a Tag Team Championship match down the line. With the Allstate Arena absolutely loving it, the match settled back down for a bit, with The Shield managing to eliminate Darren Young, with Young looking particularly impressive in action against Ambrose. To be quite honest, Ambrose was excellent throughout this match, including a great section with Dolph Ziggler that showed promise for their United States Championship match on Smackdown this Friday, with Ziggler eventually getting the better with a Zig Zag to eliminate Ambrose. Hopefully the two get a solid fifteen minutes on Smackdown to really impress, because they just didn't have enough time at Night of Champions to put on the bout we all know they are capable of. With Rollins the only man left for The Shield, it was clearly only a matter of time, but Rollins was still allowed to look a million dollars against Dolph Ziggler, before even managing to eliminate R-Truth (Truth literally did nothing all match). The four remaining faces then ganged up on Rollins, drawing the rest of The Shield. With Ziggler and The Usos taking out Ambrose and Reigns, and all five men ending up on the outside, Rollins tried to take advantage attacking Bryan from behind and setting him up for a superplex. However, Bryan reversed sending Rollins crashing to the mat, and hitting a Flying Headbutt, before finishing off Rollins with the Running High Knee to pick up the pinfall victory for his team. I really enjoyed this match, I thought it was a lot of fun throughout and did wonders for a number of competitors giving them the oppurtunity to really shine in the main event, long may it continue. Anyone who has watched WWE television over the last few years will know the kind of reactions that CM Punk gets when he heads to his hometown of Chicago, Illinois. We saw it most recently at this year's Payback pay-per-view and perhaps most famously at Money in the Bank 2011, when he won his first WWE Championship. So here we were again on this week's Raw from the Allstate Arena, as soon as Punk's music hit the place erupted, with a pop that is rarely heard in today professional wrestling scene, especially for a regular performer. To top it off, Punk came out wearing, what I have been told was a Chicago Blackhawks jersey, as if Punk really needed extra help getting the pop. Punk was out to cut a promo on losing to Paul Heyman and Curtis Axel in the Handicap elimination match at Night of Champions. Punk started off talking about not being able to bring the Stanley Cup out with him, which means very little to me at all, it is frustrating when WWE forgets that most North American sports, aren't played outside of North American and that Raw airs all over the world! It means that the cultural reference they are trying to make is completely lost on the majority of it's audience! Whilst the passion that Punk brought to his promo is something that you don't see too often on WWE television, I found it hard to get into what he was saying, because I simply don't have the knowledge of Ice Hockey to really care about the metaphors that he was trying to pull upon, Chicago of course absolutely loved it. Punk was interupted by Paul Heyman, who is now comically riding around on a mobility scooter. The confrontation between the two was red hot and animosity between the two characters felt believable throughout. Heyman continued to bait Punk reminding him of Heyman victory at Night of Champions, as well as going for the cheap heat of insulting Chicago, with the city playing a massive part in the entire segment. I'm usually completely against cheap heat, but in this case, with the characters so clearly involved in the city that WWE happened to be in this week it worked incredibly well, and Heyman's a proved genius so I'll let him off. It was clear for all to see where the segment was leading, with Heyman placed precariously on the ramp and Punk in the ring, Heyman attempted to leave the arena, unfortunately, for Heyman, his mobility scooter broke down. I'm sure they could have come up with a better idea than this one, with Heyman messing with his scooter not really doing it for me. It didn't really suit the story they have been trying to tell, and I would have much rather seen Punk just launch himself at Heyman, without all the silliness. Punk, of course, went after Heyman, only to be cut off by Heyman's clients Ryback and Intercontinental Champion Curtis Axel. The brawl between the three was another very strong piece of work, reminscent of Punk's brawls with Brock Lesnar heading into this year's SummerSlam. Punk would continually fight back agaisnt the overwhelming odds, sending Axel into the video screen, before flying off the stage onto Ryback, in what was a spectacular visual. The numbers game was eventually too much for Punk, with Axel causing the distraction and allowing Ryback to gain the upperhand, and finish Punk off with a Gorilla Press Slam through off a production box through a table, in what looked like a really nasty bump for Punk. With Punk vs. Ryback booked for Battleground, I'm a lot more interested in how the storyline is going to play out, than I am about watching the two lock up in the ring again, after their previous encounters proved uninspiring, but I'm willing follow along to find out what happens with Punk and Heyman. This match was set up in the opening segment, with Stephanie McMahon announcing that she would give the fans the oppurtunity to vote on who would face Randy Orton later in the show, with the options being Rob Van Dam, Dolph Ziggler or R-Truth. Of course, this could only be done via the WWE App, meaning we also received a few minutes of Michael Cole informing us of how to download the blasted thing. Personally, I would have prefered to have seen Dolph Ziggler get the nod from WWE fans, as whilst Orton vs. Ziggler was a regular occurrence between 2011 and 2012, it's been quite some time since we've seen the two lock up on WWE television, whilst Orton has had a number of high profile matches with Van Dam over the past few months and R-Truth has become utterly irrelevant in today's WWE. The rest of the voters on the WWE App, however decided it would Van Dam to step into the ring with Orton, with a strong majority of 57%. As we've seen in the past between Orton and Van Dam, this was enjoyable bout with the two contrasting styles of both men meshing together nicely in the ring. Orton's slow methodical style allows for Van Dam's quick flurry of offence to stand out and really got the crowd involved from the outset. Van Dam's comebacks were short and impactful throughout with a number of strikes looking strong, alongside signature moves like Rolling Thunder. There was a slight awkward moment, when Orton seemed to get to his feet too early with Van Dam planning to hit a Five Star Frog Splash, luckily the veteran Van Dam was able to recover quickly and the match didn't really lose any of it's flow. Things really interesting when Orton thwarted another Five Star Frog Splash attempt from Van Dam, and sent him crashing to the outside. From here, Orton returned to the more vicious side that we saw up against The Miz last week, really working over Van Dam on the outside, sending him into the barricade, with the referee counting both men out. Orton went on to beat the absolute crap in Van Dam, sending him into the steel steps and finishing him off with Rope Hung DDT off the top rope. This side off Orton is certainly one that has been missed over the past few years, and allows Orton to look capable on his own, rather than simply Triple H's lackey hiding behind The Shield that he had been dangerously close to becoming in the build up to Night of Champions. With Orton leaving the ring, and Van Dam being helped to the back by WWE officials, World Heavyweight Champion Alberto Del Rio came down to the ring, attacking Van Dam and locking in the Cross Armbreaker. I thought this was another nice little touch for their rivalry, but I'm still not quite sure why they are feuding. WWE need to position the World Heavyweight Championship front and centre in that rivalry, to help build up the belts prestige a little more, as it's just getting lost in the mix at the moment, especially with so much focus on the WWE Championship on Raw and Smackdown. Another questions that bugged me whilst watching was where Ricardo Rodriguez had gone? He was definitely at ringside for the match, but couldn't be bothered to help out his supposed friend Rob Van Dam at any point. I thought the injury played nicely into the main event with Van Dam being part of the eleven man team to take on The Shield and gave the show a nice arc that was followable throughout the three hours. The aforementioned World Heavyweight Champion Alberto Del Rio was also in action on Raw, taking on Kofi Kingston. Now, a lot of the audience on Twitter was quick to jump on this match for whatever reason, with the Chicago crowd also deciding to chuck around your usual chants for “Randy Savage”, because that really encourages WWE to push new talent. I was myself a little sceptical about the contest going in, as we've seen Del Rio vs Kingston on a number of occasions, and whilst the bouts have always been technically sound, they've never exactly stood out as anything special, with Kingston representing a stepping stone for Del Rio to move onto an opponent higher up the card. Yes, this was the case again here, but the two did bring something extra to their match that by the end had grabbed the attention of Chicago, who were more than into the match by the finish. Basically, for almost the entire match Del Rio was working over Kingston's arm, with the obvious story being Del Rio was building up for the Cross Armbreaker. With Kingston doing a fantastic job selling the arm injury, and being repeatedly brought up throughout the match thwarting a number of Kingston's comeback's this one built up really nicely, with a flow that felt natural and believable. There was superb spot with Kingston attempting Trouble in Paradise, only for Del Rio to reverse into a German Suplex that looked absolutely beautiful. The finish saw Kingston going for a Springboard attack from the apron to the inside, with Del Rio moving out of the way, before sending Kingston into the ringpost, of course shoulder first, before locking in the Cross Armbreaker to pick up the submission victory. A really strong opener for Raw, that again played into the main storyline of the show, whilst also allowing Del Rio to look great in control of the match. Miz TV also returned to Raw, after Triple H had set up the segment backstage, saying that Chicago wanted to see Miz TV. Chicago truly is a bizarre place then. The Miz's guest for the segment was Big Show, with the segment geared toward continued the storyline between Big Show and The McMahon family, with The Miz asking Show about why he punched Dusty Rhodes in the face last week on Raw. With Show not saying anything, Stephanie McMahon came down to the ring and the segment picked up a little, with some great heel work from McMahon. McMahon ripped into Miz labelling him a utility player with a scathing promo. It's just a shame that The Miz still isn't working as a face, and looks out of place fighting against the machine. With McMahon ordering Big Show to knock out Miz, luckily this week saw no crying from the World Largest Athelete, as he delivered a Knockout Punch to his former Show-Miz partner. I have been calling out for months for someone to just punch The Miz in the face, and it finally happened. It was certainly a refreshing change to having Big Show dealing with another moral dilemma, and it made sense for him to just punch the smarmy Miz in the face. I'm interested to see where this is going with Big Show, as surely there is only so long that the big man can take of being pushed around by the McMahon family before he snaps, but how long can WWE play this one out. I wouldn't be surprised if they ran a short programme between Miz and Show for a match at Battleground either. There was also tag team action, with The Wyatt Family's Erick Rowan & Luke Harper teaming up to take on The Prime Time Players. It was a decent tag team match, with Harper and Rowan dominating Darren Young and looking pretty impressive in the process. Young eventually got the hot tag to Titus O'Neil who managed to get some offence in on Harper, before Rowan got involved and the bout headed towards the finish. Young took out Rowan with a clothesline sending both men to the outside, before O'Neil walked straight into a Discus Lariat from Harper to give The Wyatt Family the pinfall victory. It would seem that Prime Time Players push is ending now that the media storm that surrounded Darren Young has died down a little, and I'd expect to see Harper and Rowan competiting for the tag titles soon, possibly against The Usos who seem likely to end The Shield's reign. The Wyatt Family finished off the segment with Bray Wyatt hitting Sister Abigail on Darren Young, in what has become a familiar finish to their appearances on television. Fandango was also in action this week, taking on Santino Marella, in a comedy encounter. There was some decent stuff in here, but it was difficult to find with the bout consisting mainly of rest holds, with a few comedy spots thrown in the mix, that unfortunately came across more goofy than actually funny. The finish came off the back of a comeback for Marella, with Summer Rae causing the distraction, allowing Fandango to attack him from behind, hitting a suplex before heading to the top rope to hit a Diving Leg Drop for the pinfall victory. It wasn't the worst match you'll see on television this year, and at times it was entertaining, but there really wasn't much point to it, with WWE not seeming to have any plans for either man going forward. There was also women's action with a ridiculous ten woman tag team match pitting The Bella Twins, The Funkadactyls and Natalya against Diva's Champion AJ Lee, Alicia Fox, Aksana, Layla and Tamina Snuka. Prior to the bout there was segment between AJ Lee and Stephanie McMahon with the two clearly still not seeing eye to eye, and it just made the whole women's division look completely incorrehent. Who is a heel, who is a face? The match itself last less than two minutes, with only a few women getting involved, and saw Brie Bella pick up the pinfall victory over AJ Lee after a Bella Buster. I've got no idea what they were trying to get over here, but it just seemed like a complete waste of bringing out all those women, to only have them stand on the apron! 1. Don't judge a book by it's cover: the eleven on three match should have been awful, but it was booked really well and wrestled even better. 2. Ice Hockey references mean nothing to me.